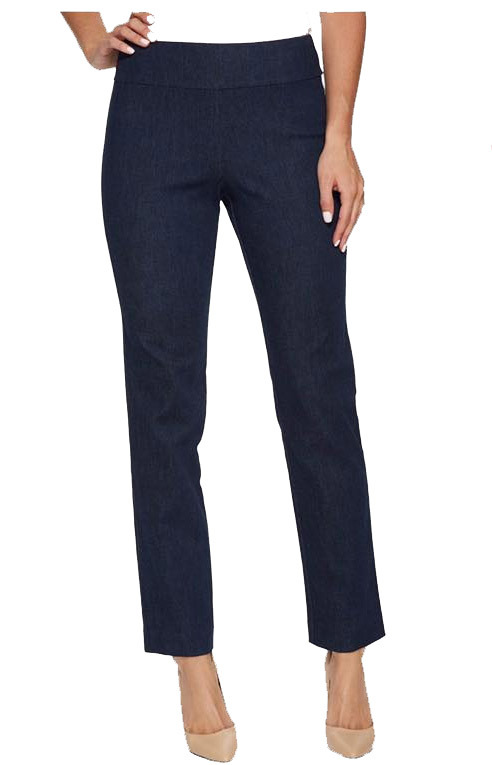 Krazy Larry Pull On Denim Ankle Pant is a customer favorite. Easy pull on styling with a superb fit. Inseam is 29" with a 2.5" waist band and hidden tummy control panel. The fabric is perfect for travel. Krazy Larry fabric content makes the pants move with you and made to bounce back to the original shape. 78% Rayon, 18% Nylon, 3% Spandex. Machine wash cold. Hang to dry. Made In USA. Please Note: We try to be as accurate as possible with the color swatches but your monitor may display differently.